SBSettings is a great application to quickly turn on and off different services. 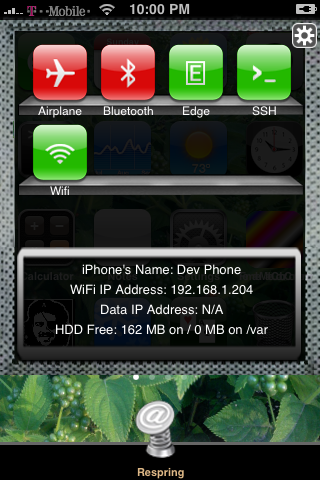 Recently two developers have released tethering toggles to easily enable and disable iPhone tethering from SBSettings. The first called, "Tethering" by Filipe Pina makes changes to the files that the preferences framework makes, then restarts the service. The second called, "Tether" by Ryan Petrich uses the preferences frameworks and calls the functions that the settings app calls. According to BigBoss, both toggles work well. You can download togles and SBSettings via Cydia (for jailbreaked iPhones only). QuickShottr allows you to automatically upload the screenshots made on iPhone / iPod on ImageShack site. As you know, both Apple devices can create a screenshot ("pictures" of the screen). User just need to clicking the same time Home + Power buttins. QuickShottr will automatically upload screenshots to ImageShack (in background) and will copy the link to the clipboard. So if you want to share a picture with someone just call the copy/paste and click "Paste." You can QuickShottr in any application, f.e. in instant messaging that does not support sending and receiving images. This functionality is also very useful for bloggers or those who must quickly send images. Current version is 1.1, it has been improved a lot since 1.0. There is also a SBSettings toggle called QuickShottr Toggle, that will allow to activate and deactivate this QuickShottr functionality through a simple click. 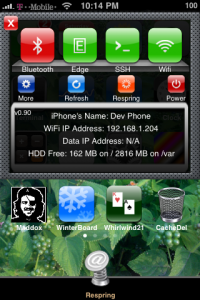 QuickShottr can be found in Cydia via the BigBoss repository. SBSettings is a very useful and interesting application for jailbreaked iPhones. Th edeveloper is working hard on a new version of this app. It will be compartible with new firmware 3.0. Several features will be also added to the this new release. Vibrate Toggle is a handy switch that allows you to enable or disable via SBSettings the vibration of the iPhone when it is set to Silent. 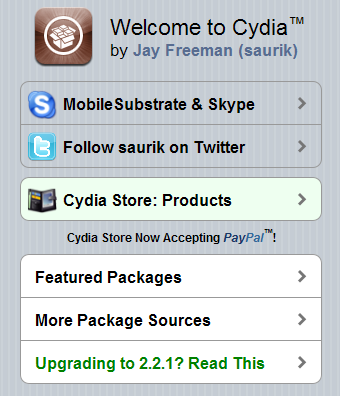 It is avaliable in Cydia. 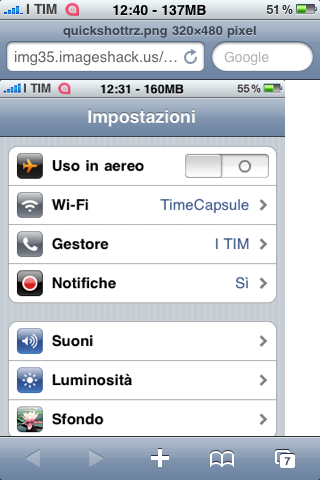 SBSettings is quite a useful utility to quickly turn on and off different parameters (f.e. 3G, WiFi, Bluetooth), adjust brightness and etc. Now users can activate and deactivate the screen lock. When the icons is green, it means that after a certain number of minutes (depending on the settings) the iPhone will enter into standby mode turning off the screen. Changing the icon in Red will be the exact opposite. The lock will be removed and the device will remain fixed with illuminzione active. We had a post about SBSettings - the future of BossPrefs (link). 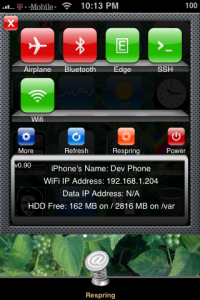 Couple days ago this application became avaliable in Cydia. Current version is 0.92. But the application is updated almost every day. 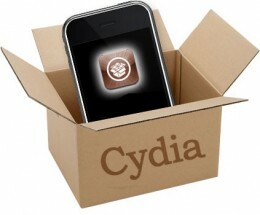 Many users of jailbreaked iPhones use application called BossPrefs. The developer of this app is creating a new one. The new application will be called SBSettings. The toggles drop down when you swipe along the status bar. It is very fast and can be used while in any app without exiting the app. Suppose you are in Safari but realize your 3g is not yet enabled. Just swipe the statusbar and toggle 3g, than resume in Safari where you left off. The advantage is there is no need to exit Safari and load settings or bossprefs.